Mail is what we do all day, every day. We can help you maximize your postage savings, speed delivery, reduce wear and tear on your mail as it is processed, and ensure deliverability. Why do I need a Mailing Services Provider? Doesn’t my commercial printer handle that? Due to the economic impact of the last five years, plenty of businesses have to “make do with less”. These same companies are turning to direct mail because it is more targetable, more accountable, and more effective than other forms of advertising. While many are enjoying the benefits of well-crafted direct mail campaigns, still more are trying to come to grips with the ever-changing world of U.S. Postal Service rules and regulations. The USPS is doing an admirable job of responding to market demands, incorporating industry suggestions, and reorganizing their structure to work smarter and leaner. The down side to all this is that never before in USPS history have there been so many changes to rules and procedures in such a short period of time! Most commercial print operations in our area are excellent at giving you quality printing at an affordable price. Rarely do they have the time and personnel to stay current with all the ongoing changes within the U.S. Postal Service. Why Use Rapid Mailing Services? 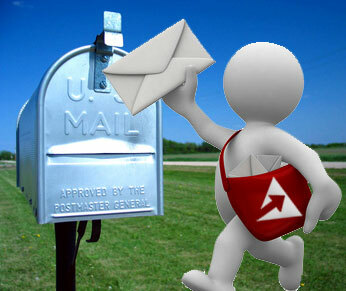 Rapid Mailing Services was created to cater to the small to medium business. Today our clients range from small, local establishments to large corporations. Typical mailings could be as small as 500 pieces or as large as 5,000,000. We are a family business that prides itself on a high level of customer service and a commitment to be involved in reaching the goals of your particular project. 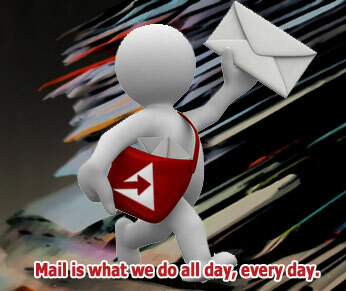 At Rapid Mailing Services, we feel that you are engaging our services for a reason. You are paying for our service, but also our experience and expertise. When you bring a project to us, we prefer to interact in a discussion about your goals, your measure of success, your mailing list hygiene, and your budget. With many customers, suggestions are made on ways to save money on postage or accomplish the goals with less money out of pocket. In short, your business is as important to us as our own. Our employees have been on the executive board of the Akron-Canton Postal Customer Council for over 9 years, with 3 years as Industry Chair. We have presented at over 15 national MAILCOM conferences and are involved with the National Postal Forum and the Mailers Technical Advisory Council. We are committed to our craft and want to leverage that knowledge for you and your business.